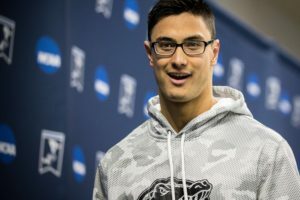 A trio of California Aquatics post-grads are travelling to Europe this week for a pair of meets and an opportunity to get in some racing while their coaches are more focused on final preparations for the NCAA Championships. 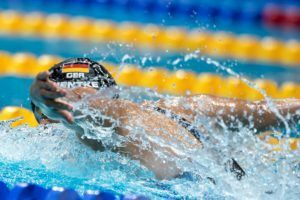 Nathan Adrian, Anthony Ervin, and Natalie Coughlin are making their first stop in Marseilles, France, before the latter two head on to Leeds, England. In Marseilles, they will be taking on the 2nd International Meeting of the Mediterranean in long course. 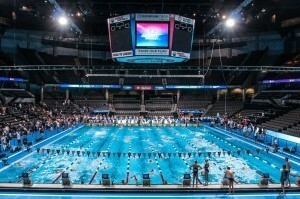 Among the biggest races will be Adrian and Ervin gunning for the Olympic 50 meter champion from France: Florent Manaudou. That’s a race we never got to see in London, when Adrian missed qualifying for the 50 free for the American team. Coughlin won’t really have much competition in the sprint freestyles/backstrokes in her return to racing after the Olympics; the biggest challenger will be Cloe Credeville, a 21-year old French backstroker who’s been a 1:00.95 in the 100 long course and a 2:09 in the 200. These intermediary French meets, especially on the men’s side, have really started to grow in their prominence in the last year or so; Rafael Munoz, the Spanish World Record holder who is now training in France, Fred Bousquet, and Fabien Gilot are among the other big-name guys who will be at this meet. Then it will be onward to Leeds for Tancock, Coughlin, and Ervin, in the least, where they will swim at the British Gas Open Meet from March 7th-10th. This is the meet that has replaced the first leg of the former two-part British qualifying system (read more about that here). The Brits will be throwing some serious weight behind that one, as they’re trying to turn it into a premier, global meet, so expect there to be an even bigger list of international stars signed up when entry lists are released.